Last week a scandal in Washington media circles led to the sacking of a prominent writer and has set off a debate about the nature of plagiarism in the internet-driven world of journalism. Two anonymous Twitter users had gathered and posted evidence that Buzzfeed's viral politics reporter Benny Johnson had been taking lines and information from sources such as Wikipedia, Biography.com, the National Review and Yahoo Answers without attribution. They were prompted to act, they said, when Mr Johnson accused another website of plagiarising his work. If there's one thing that's easy to spot and take offence at, it's hypocrisy. 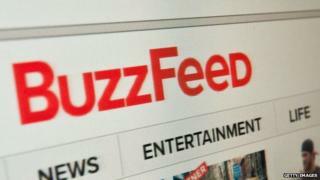 While Buzzfeed editor Ben Smith defended his employee initially, additional revelations - combined with a growing uproar from commentators - prompted an internal investigation that revealed at least 41 transgressions. The axe came down on Friday night. "This plagiarism is a breach of our fundamental responsibility to be honest with you - in this case, about who wrote the words on our site," Smith wrote in a message to readers. "Plagiarism, much less copying unchecked facts from Wikipedia or other sources, is an act of disrespect to the reader." Plagiarism is a four-letter word for most journalists - a capital offence for which the sentence is career execution. But are there different shades of infraction? The Washington Post's Gene Weingarten thinks so. "There's a difference between crappy, lazy Internet writing and real plagiarism, and I contend that when you start calling the first thing the second thing, you belittle the seriousness of real plagiarism. It all starts seeming like kindergarten-level failure to footnote. And over time real plagiarism will not outrage the public as it should." Stealing boilerplate lines about basic facts from the likes of Wikipedia and using them in a Buzzfeed list is entirely different than appropriating a clever turn of phrase or original insight, he concludes. "To be guilty of theft, one must steal something of some intrinsic value," Weingarten writes. "Putting such a high premium on creative, original work prevents Weingarten from appreciating why all plagiarism stinks with the same stench," writes Reuters columnist and veteran media commentator Jack Shafer. "Plagiarism is not a crime against the journalists whose passages have been stolen. It's a crime against readers, who have every right to believe that journalists vouch for the copy they serve." By not citing his sources, Shafer continues, readers will never be able to judge their authenticity. Information drawn from a noted expert shouldn't be given the same weight as a Yahoo Answers post. Pando's David Holmes agrees, saying it's not possible to draw a "line in the sand" between plagiarism and "mere hackery". "One man's treasure is another man's trash," he writes. The sad thing, he says, is that in online journalism plagiarism pitfalls are relatively easy to avoid. "The bad thing about the Web is that it's easy to steal stuff. The great thing about the Web is that it's the easiest thing in the world to link to your primary source. This was Johnson's biggest crime." Plagiarism scandals have erupted with regularity ever since modern journalism emerged as a professional undertaking with an ethical code, of course. The internet, with its relentless demand for new and engaging content, is bending the rules of the game, however. On Monday the website FisbowlNY reported that the opening paragraph of a New York Times article by Carol Vogul may have been plagiarised. The original source of the lines in question shouldn't come as a shock at this point.